The MCM 12mm Nylon towing rope is 15 metres in length. 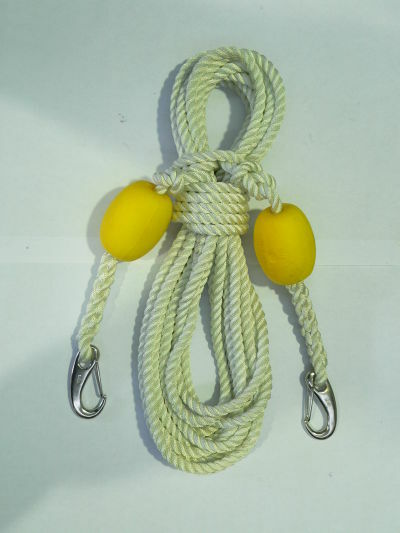 It comes complete with 2 x yellow floats and 2 x 100mm stainless steel snap hooks. The 12 mm nylon rope has a breaking strain 2940kg, as opposed to the previously approved 12mm silver rope, which only has a breaking strain of 1260kg.